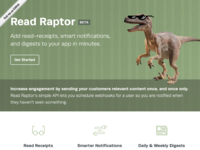 Late last week I put together a quick homepage for an Assembly product called Read Raptor. 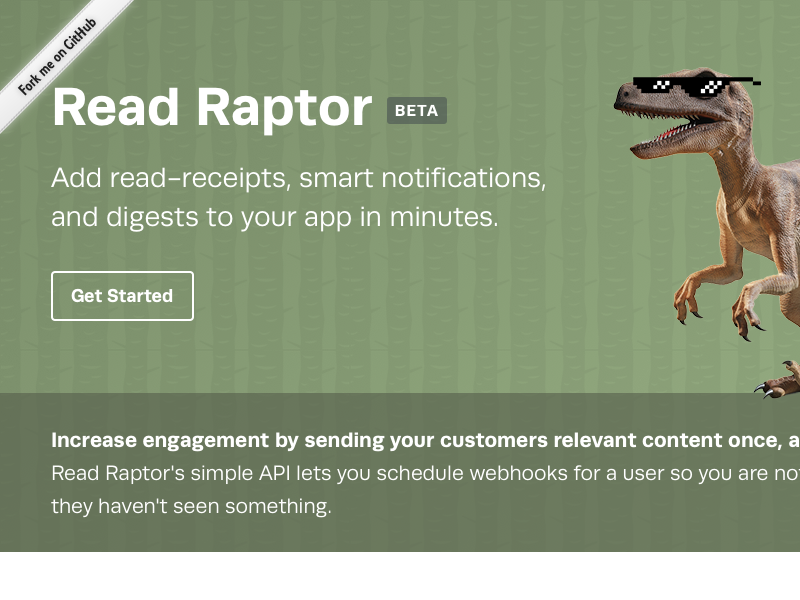 In short, it allows you to integrate iMessage-style read receipts into your own applications, with the added benefit of digests that roll-up content that users haven't seen and delivering it at your discretion. 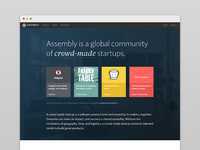 Like all Assembly products, Read Raptor is a mutual product, built and owned by the people who use it, and we encourage anybody to get involved and become a partner. 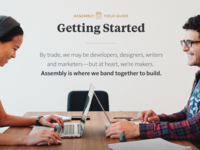 Anyone can get involved with an Assembly product. If you think you can help out in any way, check out Read Raptor's open tasks here. 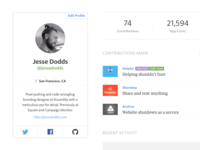 Completing tasks earns you a cut of the monthly revenue, so there's an incentive for people to contribute, moving the product ever-forward.